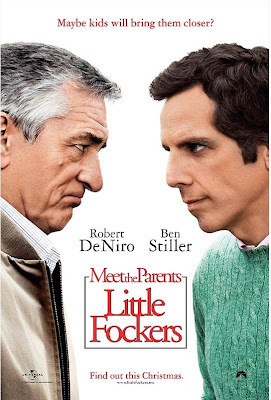 Put it this way, if you take away the jokes that reference the name Gaylord Focker, or the word “Focker” in general and lose the DeNiro pointing to his eyes and then pointing to Ben Stiller as is to say “I’m watching you”, the entire TRILOGY is 19 minutes long. And I say this as someone who did not and will not see the third movie. Ooh, they brought back the Owen Wilson character from the first one? Great. How bout the stewardess who (reasonably) wants Ben Stiller to check his bag? By the way, didn’t Robert DeNiro and Dustin Hoffman battle it out for best actor one year when one did Deer Hunter and the other was in Kramer Vs. Kramer? i believe that was pre-bag check fees, so its not like she was just extorting the passengers like they do now.